Volunteer firefighters were fighting a blaze at a West Fertilizer Co. storage and distribution facility in 2013 when an estimated 30 tons of ammonium nitrate exploded, damaging more than 150 buildings and creating a crater 10 feet deep. Twelve of the 15 people who died from the blast were first responders. More than 250 people were injured. 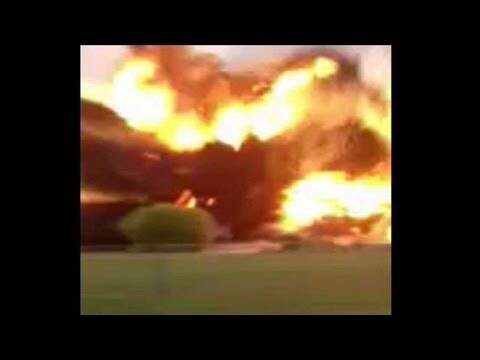 What was behind one of Texas’ worst industrial accidents? According to a final report from the U.S. Chemical Safety Board, the agency charged with investigating chemical accidents, the fire and poor storage of ammonium nitrate were technically the culprits. But a shoddy regulatory system laid the groundwork for creating the dangerous situation. The report outlined three ways the fire and explosion could have happened, but what seems most likely is that heat, pressure and debris caused by the fire set off the explosion of ammonium nitrate being stored at the facility. The report also noted that there was no sprinkler system and that Texas is one of the only states without a fire code. Making matters worse was that firefighters were not properly trained to handle the situation. As preliminary reports on the disaster from the CSB have noted, there was no clear chain of command among the volunteer firefighters, no effort to evacuate nearby residents, and no adequate training for dealing with hazardous materials — all factors that could have contributed to the loss of life. The CSB blamed every level of government for not properly regulating the storage of ammonium nitrate. In its recommendations, the CSB called on OSHA and the EPA to strengthen their regulations of ammonium nitrate storage to protect the public from further hazards. The board also noted that insurance companies could play a role in improving standards if they inspected for safety while underwriting policies. Notably, West Fertilizer had been dropped by its insurance in 2009 for not having a positive safety culture and faulty electric wiring. Have regulations improved since the disaster? Not enough, according to the CSB. Despite an executive order by President Obama in 2013 to improve chemical safety, the CSB said that state regulations still don’t prevent the storage of ammonium nitrate in wooden bins, and do not prohibit storing the chemical in any particular place. As a result, the board says many communities around Texas are still at risk.